COLUMN DESIGN: Architectural Wood columns. Roman Corinthian capitals & Ionic (Attic) base moldings / plinths. 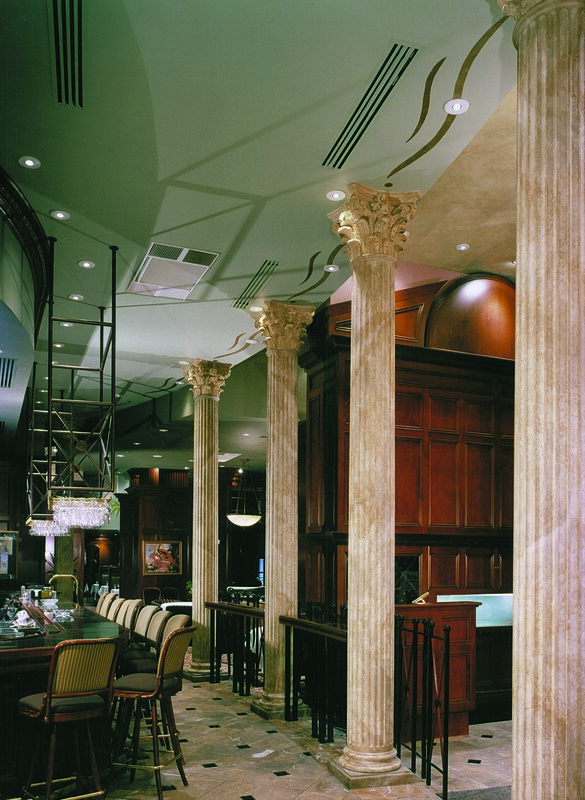 PROJECT COMMENTS: Chadsworth provided (5) Roman Corinthian stain-grade wood columns for Ruth’s Chris Steakhouse in Bethesda, Maryland. The columns were faux-finished to look like marble.